A few years ago getting Internet access while on an airline flight seemed like magic. Now in the not-too-distant future, the connection in your plane might be faster than the one in your home. According to a press release issued by Virgin America, new technology from corporate partner ViaSat will improve its satellite Internet connection by a factor of five to ten times thanks to a next-generation satellite. The new technology offers speeds of up to 140 gigabits per second spread across the entire network, which should mean "8 to 10 times faster" speeds for individual users, enough for reliable music streaming and (maybe) some video. All of Virgin America's fleet planes have standard Wi-Fi, and it might take a while for the upgraded system to propagate. Domestic US flights will start to see the faster speeds in September, with Virgin's West Coast flights to Hawaii scheduled for an upgrade sometime in 2016. (The satellite system should operate over open ocean, as opposed to systems based on terrestrial networks that only work over land.) The upgraded service will be free to customers during 2015, presumably to work out the kinks in the beta system. I tend to take Virgin America whenever I can. The service and seats blow the wings off of United and American, and it usually comes in at about the same price per flight. Now if only they'd expand to more airports in the middle of the country and on the East Coast - come on, Virgin, Denver International is begging for you. 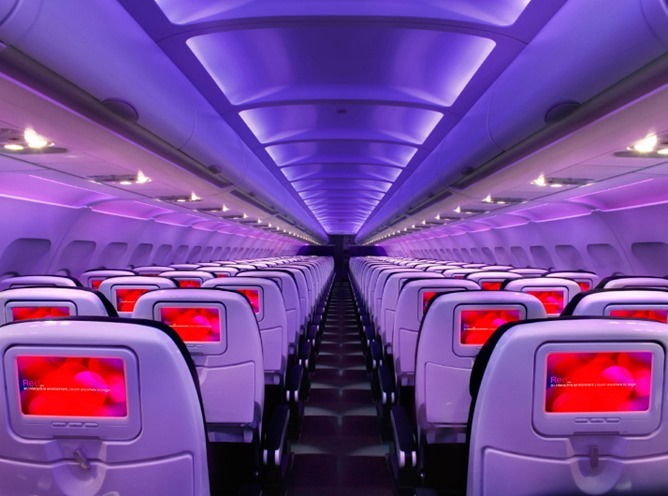 SAN FRANCISCO and CARLSBAD, Calif.,– July 7, 2015 – Virgin America(NASDAQ: VA) the first and still only U.S. airline to offer WiFi on every aircraft in its fleet, today announces a new technology partnership with ViaSat Inc. (NASDAQ: VSAT), an innovator in broadband and communication technologies and services, that will bring significantly faster WiFi connectivity to the airline’s 10 new A320 aircraft deliveries, beginning in September of this year. 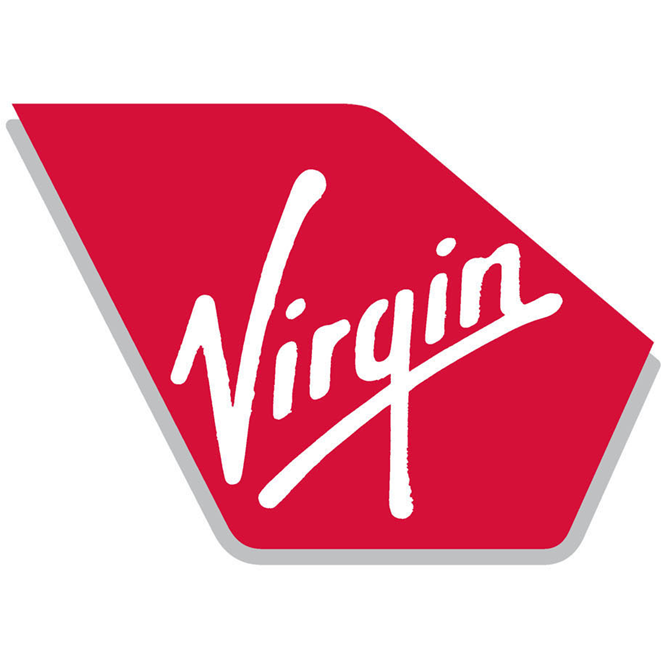 Through this latest connectivity partnership, Virgin America will tap the power and economics of ViaSat-1, the highest capacity Ka-band satellite in the world offering 140 gigabits-per-second, to deliver the fastest WiFi connectivity service for high-quality video streaming. ViaSat's technology will deliver internet speeds that are typically 8 to 10 times faster than any other in-flight WiFi system – allowing travelers to experience internet speeds similar to what they have at home, with the freedom to watch, stream video and shop directly on any connected device when in-flight. With this new technology, Virgin America will become the first commercial airline to offer an in-flight WiFi service that can operate in both Ku- and Ka-band satellite networks on the same aircraft. By deploying ViaSat’s new hybrid Ku/Ka-band antenna Virgin America can keep travelers connected virtually anywhere they fly, ensuring guests always have the best available connection in any given location. ViaSat’s new hybrid Ku/Ka-band antenna will enable in-flight WiFi connectivity on flights serving the airline’s new Hawaiian destinations as of 2016. Virgin America will begin installation of ViaSat’s systems immediately – with the first Ka-band antenna equipped aircraft to take flight in the continental U.S. in September 2015. Aircraft scheduled for Hawaii flights will be outfitted with ViaSat’s hybrid Ku/Ka-band antenna in early 2016. During the beta period rollout of the ViaSat product, Virgin America will offer free WiFi access on its first ViaSat equipped aircraft. The airline will introduce pricing for the service in 2016. The news today builds on Virgin America’s announcement last month that it is upgrading to a new beta version of its Red® in-flight entertainment system. The new Red Beta creates an even more immersive in-flight entertainment experience with higher resolution capacitive touch screens, Android-based software that will allow for faster, real-time updates, three times more content – including full seasons of favorite television shows, more interactive maps, videogames including classics like Pac Man and Asteroids – along with the first surround-sound listening experience to be offered by an airline. In addition to being the only U.S. airline to offer fleetwide WiFi as of 2009 and power outlets at every seat, Virgin America has made continuous investments in its in-flight connectivity system, including upgrading its full fleet to the latest generation ground-based WiFi system as of 2014 and now investing in the most advanced satellite-based WiFi system with ViaSat Exede® In the Air for its next 10 aircraft deliveries – giving guests the ability to access content beyond what is stored in the aircraft to stream online video content to their device over the internet. The airline has not yet made a technology decision with respect to the rest of the fleet. The innovative quality of the airline’s current product continues to capture all the major travel awards – including once again being named today as “Top Domestic Airline” in the prestigious annual Travel + Leisure’s World’s Best Awards for the eighth year in a row – the only U.S. airline with that distinction.